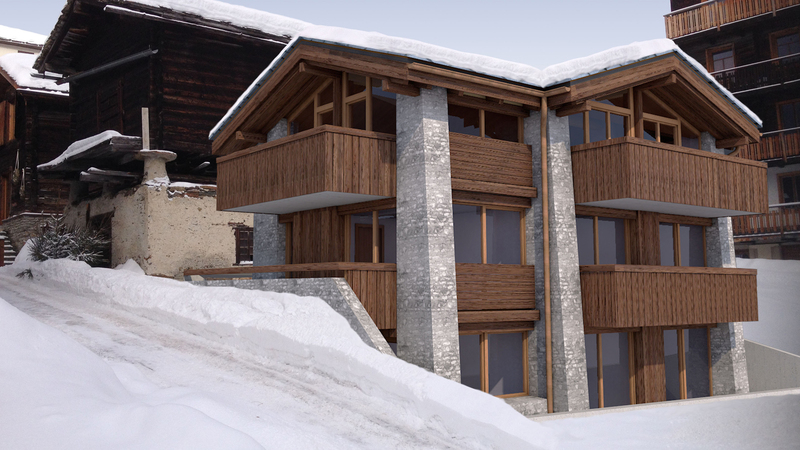 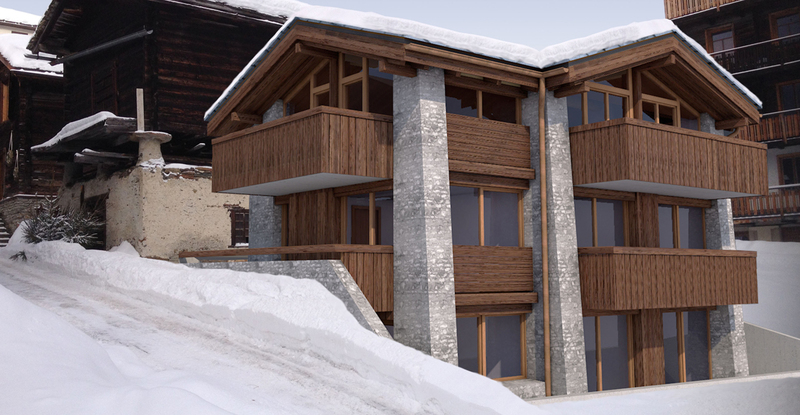 Chalet Wald is a new chalet set to be built in a prime location just 2 minutes' walk from the Alpin Express Lift in one direction and just a minute's walk from the centre of the village in the other. 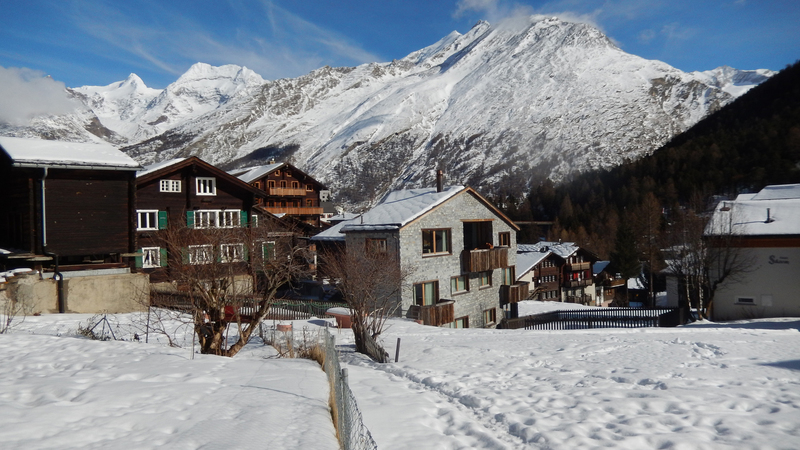 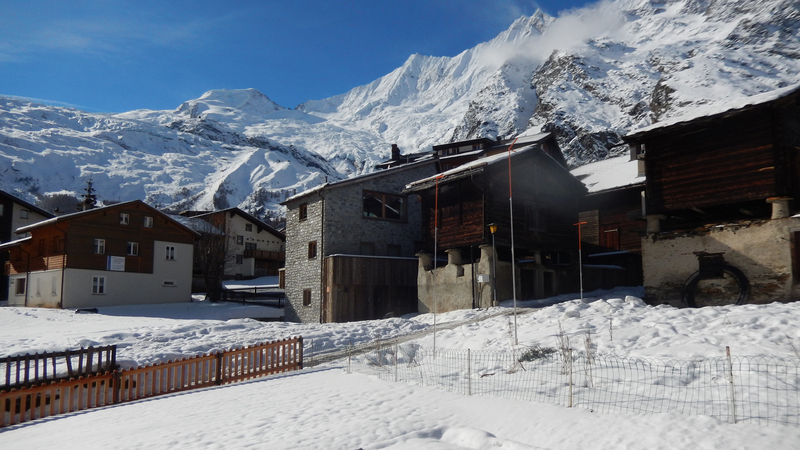 In spite of its great position relative to lifts and the centre of the village, the Chalet Wald site is peaceful and sunny. 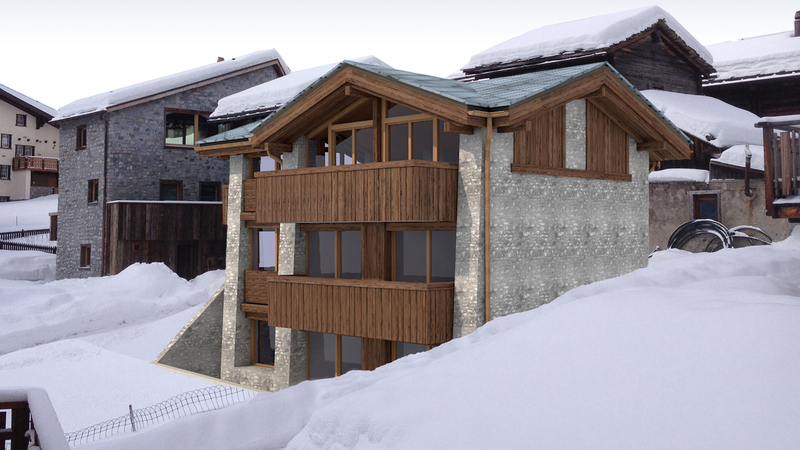 The chalet will have 3 floors with the 5 bedrooms spread across the ground and first floors and an impressive open plan living, dining and kitchen area on the top floor with double-height ceilings and floor-to-ceiling windows.